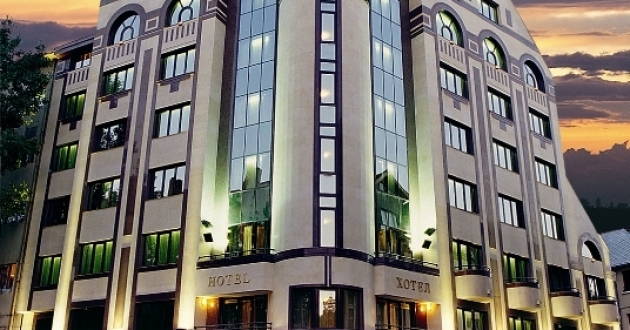 Location: The hotel is situated in the very centre of the city in front of the ex-British embassy and within walking distance from the city business and cultural cites. Accommodation: 62 rooms with air-condition, cable TV, phone and voicemail, mini-bar, in-room safe box. Non-smoking rooms are also available. Food: Elegant restaurant with 80 seats and winter garden offers traditional Bulgarian and international cuisine, lobby-bar. Sports and facilities: Fitness centre, sauna, solarium, massage. Other services: Hairdresser, laundry and dry cleaning, conference room, fully equipped business centre.